We had the enormous pleasure of being invited to the Oystre Slidre Karate Club's 20th Anniversary at the weekend. 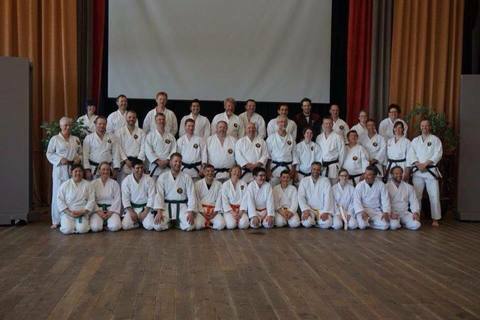 Matsubayashi members from across Germany, Ireland, England and Norway met for a series of seminars taken by the various Sensei present. During the day we also had a lesson of Norweigian Dance. To celebrate the end of the weekend a magnificent dinner was held at the local hotel.